There are several cloud storage companies and services you could look at, but in terms of reliability Dropbox and Google Drive are miles ahead of competition. When you are relying on a cloud service to store professional or personal files, you need to be certain of their reliability and accessibility at all times. Dropbox was founded in 2007 based on the idea that emailing different documents to others from different computers made sharing slow and tedious. Hence, it started as a file sharing system that would allow users access files via internet in shared folders that was securely placed on a server. Now there are over 300 million users of this service. Google started to work on the idea of developing an online storage system as early as 2006. However, they took additional six years to get their ideas out there. Google Drive was launched officially in April 2012 and today it has about 240 million users worldwide. In this post we have laid out the pros and cons of both of the services to help you subscribe to the right solution for your business. This is the first aspect that makes a difference for anyone who is new to using cloud services. 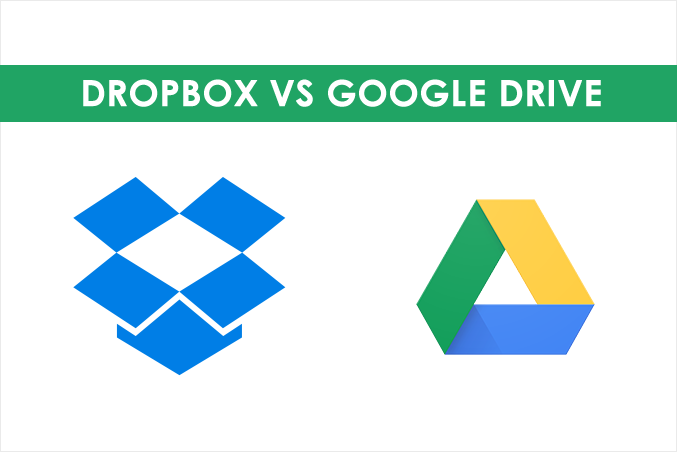 So which service is simpler to figure out, Google Drive or Dropbox? With Dropbox one needs to understand how the syncing procedure works. It is possible to add folders and files through a web browser as well as a desktop or mobile app. Although large files can also be shared with one-click link generation feature, users often face issue when they try to sync very large amount of data. With Google Drive the options are similar. You need to have an account with Google and create different folders on Google Drive in order to segregate the files you upload. It also allows direct upload through a web browser, desktop or mobile app. But, Google Drive for Business is better when it comes to syncing and accessibility. All of your data get stored in the cloud and updated in real time across all the shared users and devices, including smartphones and tablets. This is the primary aspect of any storage solution. If a service becomes inaccessible or takes a lot of time to open files, that is what would prevent one from using the service further. Dropbox in this context has decent reliability as it had an average record of less than seven hours of downtime over six months (Source: Pingdom). Comparatively Google Drive has an average of a minute of downtime in a period of 30 days. Most users are happy with the availability of Google Drive. However, in context of finding files, some users have found some files missing in their Google Drive account which could have arisen due to a memory problem. In case of Dropbox the loss of files was mostly accounted to syncing errors. Dropbox Business begins with 2TB of storage space, but Advanced and Enterprise plans offer unlimited storage. It is also quite easy to change plans among personal, business, and enterprise-level by transferring account to the new plan without making any changes to file configurations. Google Drive for Business starts at 30GB space per user and advanced plans (Business and Enterprise) offer unlimited storage with some additional features. As Google Drive comes with G Suite apps, users also get to use GMail, Sheets, Docs, Slides, and Hangouts features. As most people are now looking at cloud services in terms of reaching their files and folders as and when required instead of storing them on local computers or servers, they need to know how fast both services are. Indeed, most cloud services advertise the possibilities of opening, sharing as well as editing documents on their platform. For that speed and responsiveness is important. In case of Dropbox, a folder with files, accounting to 42 MB takes about three minutes to get synced or transferred. This is an aspect that Google Drive loses out as they are a bit slower in this aspect. Dropbox employs 256-bit encryption at rest and a 128-bit tunnel while syncing data between local storage and the cloud. Apart from that, Dropbox uses blocks to store data and metadata is stored separately. If you lose access to a connected device, the remote wipe feature can be used to erase the data saved on the device someone else tries to access it. Google Drive uses encryption at rest and during transfers for all accounts. Google also claims that they deploy the same security measures for their products as they use for their own purpose. Google also allows 2-factor authentication for all accounts to provide additional security. Business accounts have privilege to control user accounts and apps, including remote wipe of connected mobile device apps. Although Dropbox claims to have automatic syncing, it is not powerful enough for real-time shared collaboration you enjoy with Google Drive. Dropbox informs you when a team member opens or edits a document, and both of you get the option sync and work on the latest version on your computer. The problem arises with real-time collaboration as you are only allowed to work on the latest saved version. Google Drive, on the contrary, lets you and your team members collaborate at the same time, and you can even see the changes as your teammate types them. This feature is highly useful for distributed and remote teams that rely on collaborating and document sharing for project work. Dropbox integrates with many of the popular business apps, such as Slack and Docusign, enabling well-thought-out workflows and sharing capabilities. 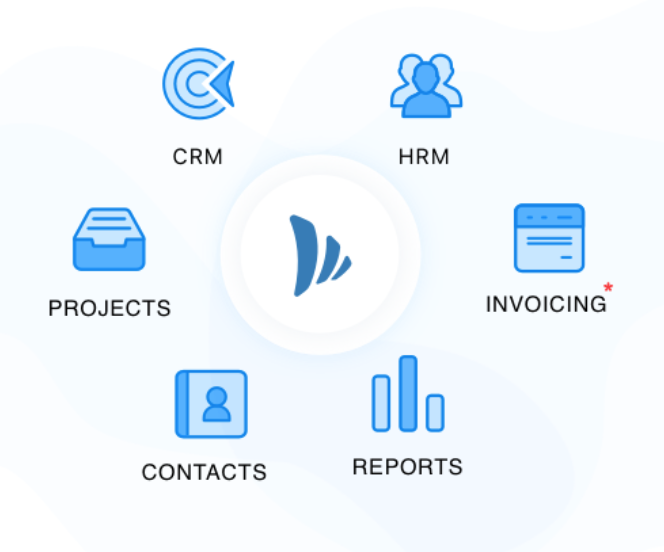 As the product is mostly popular with business users, project management tools like TeamWave also connect. An additional layer of security offered by Symantec and CipherCloud also adds much value. Google Drive also offers plethora of integrations for businesses, including CRM, project management, accounting, and customer service. TeamWave also offers strong integration with Google Drive and other associated Google services. As far as business users are concerned, both of the apps are highly competitive. While Google Drive is more intuitive, we can only use the browser to work on the files. Syncing large amount of data on Dropbox can be difficult, but Dropbox offers the convenience of working offline with the data synced with your computer. While comparing these two services we should consider usability vs. access trade-off. You can sync the Google Docs to the desktop and work on them even offline through the browser. I don’t even know why people still use Dropbox. Google Drive gives you 20GB of free storage, when Dropbox gives you just 1GB. Provided that most of the quality characteristics are on the same level but Google Drive has a word processor and spreadsheets on top of that, it’s a pure win. Google Drive only offers 15GB of free storage, while Dropbox gives 20GB for free (with referral links and beginner tasks). The “word processor” you mentioned is a pure PoS, and considering most people have Word installed anyway, I don’t see how that’s a win (let alone a pure one). Dropbox actually seems like a much better option, since your space isn’t shared between your emails, whatsapp/viber and other app backups. Those together run close to 3GB for me (so 12GB of the remaining storage). That compared to Dropbox’ 20GB doesn’t sound so great anymore. Use Integrated Software to Run Your Entire Business – CRM, Project Management & HR.